Proper dental care is absolutely essential for long-term overall health. We offer preventative and general dentistry services to help our patients achieve and maintain healthy teeth and gums. We believe that patients should not only enjoy optimal oral health, but also enjoy the confidence of having an attractive smile as well. Here, Dr. Michael Bixby and our team in Red Bank, NJ explore dental care statistics, and explain how proper oral health can offer a lifetime of benefits. Most Americans truly value dental health. In a study performed by the American Dental Association Health Policy Institute, it was reported that 95 percent of individuals in the United States consider oral health an essential aspect of overall care. Furthermore, approximately 80 percent of these individuals believed that an attractive, healthy smile was fundamental to a fulfilling life and career. Since Americans find dental care so crucial, it is not a surprise that the majority of individuals believe that routine visits are important. In fact, approximately 85 percent of American adults stated that biannual dental appointments were essential to maintaining healthy teeth and gums. Additionally, 75 percent of these individuals plan to see their dentist within the next 12 months. Even so, the actual statistics suggest that Americans fall short. The Centers for Disease Control and Prevention (CDC) report that only 64 percent of adults between the ages of 18 and 64 attended a dental visit within the last year, and only 62.7 percent of those over the age of 65 saw their dentist within the last year. If you grew up going to the dentist, you know that patients should brush their teeth at least twice every day for good oral health. This is the recommendation set forth by the American Dental Association, and they add that brushing should take about two minutes on average. 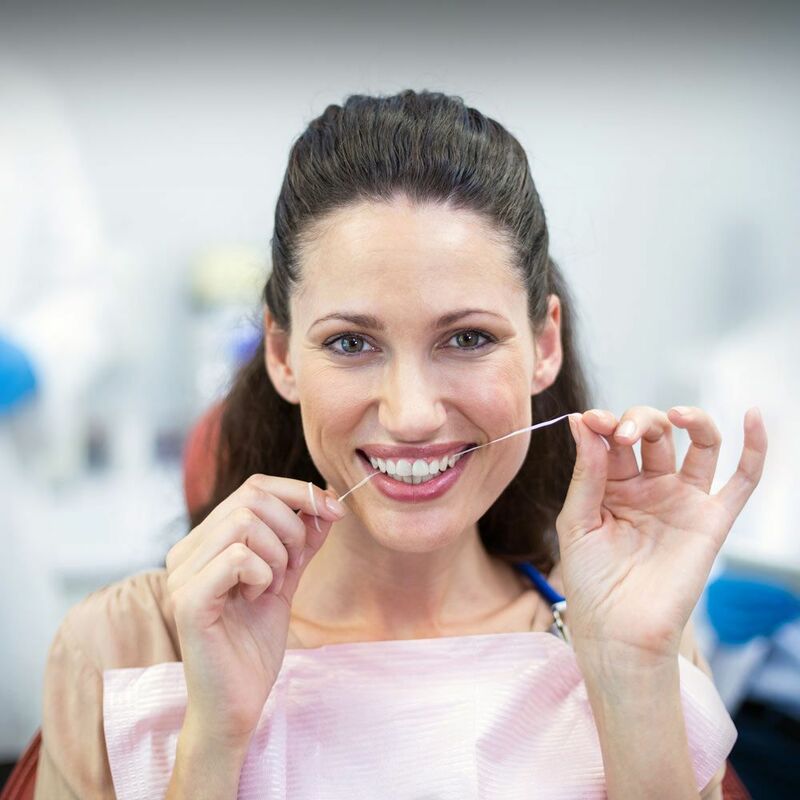 A recent report by Delta Dental reveals that seven in 10 Americans adhere to this recommendation. In contrast, most Americans do not floss as much as they should. The same study mentioned above also found that only four out of every 10 Americans floss at least once a day. In fact, about 20 percent do not even floss at all. For the record, individuals should floss once a day for good oral health. Astoundingly, nearly half of all Americans have some form of periodontal disease. The leading cause of tooth loss, gum disease affects approximately 47 percent of the U.S. population. Virtually everyone will have a cavity at some point. According to the CDC, about 91 percent of adults between the ages of 20 and 64 were affected by tooth decay. For individuals 65 and over, this statistic jumps to 96 percent. If you experience heightened tooth sensitivity, you are not alone. About 12 percent of Americans suffer from this condition. While tooth sensitivity may not be related to a dental health problem at all, it can sometimes denote early symptoms of tooth decay or gum disease. Therefore, it is best to have the issue assessed by an experienced dentist. Don’t become a statistic. We can help you and your family prevent or treat tooth decay, gum disease, and more. To schedule a consultation with Dr. Bixby, contact us online anytime or give us a call at (732) 224-1160.